Confluence Outdoor has added to the fuel that fires the excitement of ICAST, with the addition of not only 1 new kayak, but three new kayaks. The Perception Pilot offers a pedal drive kayak at a reasonable price, the Wildy Radar which is a pedal drive kayak, and the fan favorite ATAK in a new 12′ size. 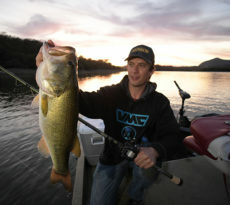 Confluence Outdoor is definitely aiming to be the talk of ICAST this year. GREENVILLE, S.C. (July 11, 2016) Perception, a leader in recreational and touring kayaks for 40 years, today announced the newest member of its renowned Pescador family of fishing kayaks. The Pescador Pilot is an affordable sit-on-top packed to the gills with fishing features and complete with the Pilot Drive pedal system, all at an incredible price of $1,799 USD. “The Pescador Pilot offers big performance at a small price. 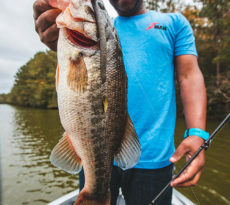 It allows anglers to get to their fishing spots quickly and multiplies the number of casts they can throw,” said Evan Lyendecker, marketing director for Perception. “For the recreational user, the ability to propel a kayak without a paddle gets those who may be paddle-adverse or even those with disabilities into kayaking and fishing, helping to open doors to the sports we love.” The optimized gear ratio in the Pilot Drive allows for effortless all-day cruising, while the custom-designed, patent-pending Turbo Flaps reduce noise and keep turbulence to a minimum under the kayak and inside the Pilot scupper. The intuitive Pilot Drive makes launching or docking easy—simply insert the Quick Key to engage or disengage—while the view into the Pilot scupper simplifies aligning the prop for zero draft transitioning. A recess in the hull stores the lightweight drive while not in use and the center scupper lid allows for easy transportation and storage. Forward and reverse motion paired with EasyGrip low-profile rudder steering control allows for a super tight turn radius, offering all-around maneuverability in those hard-to-reach places while eliminating line tangling. In addition to the drive system, the Pescador Pilot is full of features serious anglers seek including a stadium-style, comfort-focused Captain’s Chair with on-the-fly adjustability to fit a range of heights. Bow Storage Pods with a transducer scupper to provide a secure space for gear and electronics. Pre-installed inserts for transducer mounting and precisely placed inlet/outlets for direct wiring to the transducer scupper and display make electronic install a breeze. The Pescador Pilot also comes loaded with two YakAttack GearTracs with easy mounting points for all accessories, a cup holder, four molded-in rod holders, as well as bow and stern tankwells for ample, easy-to-reach storage. The Pescador Pilot is $1,799 USD and launches to retailers in December 2016. GREENVILLE, S.C. (July 11, 2016) – Wilderness Systems, the industry leader in kayak fishing innovation, today announced the highly anticipated release of its A.T.A.K. 120— an advanced tactical angling kayak that maintains the original 14-foot kayak’s award winning features with a new, more compact 12-foot design. The A.T.A.K. 120 features Wilderness Systems’ proprietary S.M.A.R.T. Hull Technology throughout the design that combines stability, maneuverability, acceleration, responsiveness and tracking for optimal performance in a range of environments. 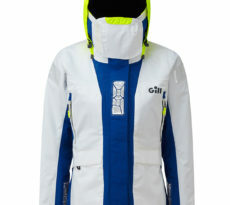 Design elements include an increased rocker profile to better negotiate moving water, a defined keel line for excellent tracking, and the unmistakable wind shedding low-profile of the A.T.A.K. 140. The acclaimed, patented AirPro MAX seat returns with improved adjustability and the addition of quick-adjust cam levers, allowing users to adjust to their preferred trim for maximum comfort and performance. Mounting locations for the essential, patent-pending AirPro 3D seat are also included in the design. The exclusive Flex Pod OS system, combined with two additional hatches, provides the 120 ample storage space as well as the option for electronics or Helix MD™ Motor Drive integration. A secondary transducer scupper also has been added to allow more flexibility for electronics, including sidescanning. SlideTrax™ and plenty of open mounting space provide the ability for unprecedented customization. The A.T.A.K. 120 offers three Power-Pole® locations—a Power-Pole can now be deployed from a tankwell scupper or from the recess located left and right side of the stern. The A.T.A.K. 120 costs $1,649 USD and will be available in six colors—Desert Camo, Dusk, Mango, Midnight, Solar, and Sonar—in November 2016. GREENVILLE, S.C. (July 11, 2016) – Wilderness Systems today announced its Limited Edition Radar 115: a truly unique, tri-powered kayak, outfitted with a select accessories package, delivers an unprecedented ante-up to the kayak fishing world. The Limited Edition Radar 115 features proprietary Wilderness Systems S.M.A.R.T. Hull Technology that combines stability, maneuverability, acceleration, responsiveness and tracking for optimal performance whether paddled, pedaled or motored. The limited edition package includes the plug-and-play Helix MD™ Motor Drive and the groundbreaking, patent-pending new Helix PD™ Pedal Drive—the most efficient and intuitive pedal system ever engineered. Also included is an angler-selected assortment of new Wilderness Systems accessories, including the stylish new Kayak Krate tankwell storage system. The Radar 115 offers ultimate performance in multiple water environments. Design elements include an upswept bow for a dry ride, a defined keel line for excellent tracking, a rockered chine for responsive steering and a flat, stable platform for standing and freedom of movement. Thanks to Wilderness Systems’ S.M.A.R.T. Hull design, the Radar delivers stand-up stability without increasing the width of the hull. In addition, it features state-of-the-art outfitting including the expansive SlideTrax™ rails and a multitude of storage opportunities. Wilderness Systems’ renowned premium comfort is continued with the Radar series, which includes the award-winning, patented AirPro MAX high-low seat. It can be ergonomically trimmed for paddling or pedaling positions, and can also be stowed in a vertical position to increase standing area. With its new quick adjust levers, users can slide the seat fore and aft to set leg length, essential with use of the Helix PD Pedal Drive or to adjust the trim of a fully loaded boat. The Radar 115 was designed from the ground up to work alongside the new patent-pending Helix PD Pedal Drive that offers smooth, forward and reverse maneuverability. Fully deployed, the system optimizes maximum performance in exchange for less effort so you can be hands-free to fish all day. Transitioning from forward to reverse movement is seamless. A state-of-the-art auto-raising mast achieves zero draft from the seated position by pressing a spring-loaded foot pedal at the mounting base. The unit can be further stowed forward and out of the way to complete the three-phases of possible positioning. Wilderness Systems’ exclusive Flex Pod system provides the versatility to deploy side-scanning or down-imaging electronics while using either of the Helix Propulsion Technologies. The Radar’s proprietary S.M.A.R.T. Hull Technology combines stability, maneuverability, acceleration, responsiveness and tracking for optimal performance in multiple water environments and configurations. Design elements include an upswept bow for a dry ride, a defined keel line for excellent tracking, a rockered chine for responsive steering and a flat, stable platform for standing and freedom of movement in flat to rough water. A sure to be a stand-out in the market, the Radar delivers stand-up stability without increasing the width of the hull, thanks to its S.M.A.R.T. Hull design. The boats also feature retractable rudder technology aiding in rudder longevity. Both models feature state-of-the-art outfitting including the expansive SlideTrax™ rails and a ultitude of storage opportunities. Wilderness Systems’ exclusive Flex Pod system provides the versatility to deploy side-scanning or down-imaging electronics while using either of the Helix Propulsion Technologies. Wilderness Systems’ renowned premium comfort is continued with the Radar series, which includes the award-winning patented AirPro MAX high-low seat. It can be ergonomically trimmed for paddling or pedaling positions, and can also be stowed in a vertical position to increase standing area. With its new quick adjust levers, users can slide the seat fore and aft to set leg length, essential with use of the Helix PD Pedal Drive or adjusting the trim of a fully loaded boat. The Radar 135 is also compatible with the acclaimed, patent-pending AirPro 3D seat. The Radar features a premium, matte glass bead finish on the deck to reduce glare and is available in six colors: Desert Camo, Dusk, Mango, Midnight, Sonar, and Solar. The Radar is priced at $1,349 USD, and the Radar 135 at $1,499 USD. Both will launch to retailers in January 2017.